Our goal is to create the most finely crafted and luxurious homes on the planet. For the past 20 years, Mark and Dan Schaefer have been turning that dream into a reality. Renowned design for over a decade, Kamarron Design, Inc. has become synonymous with exquisite taste, unparalleled service, and unmatched quality. Whether it is a new home construction or a home improvement remodeling project, Dynamic Woodworking can design a custom woodworking solution for your home or business. HBRE is a home building & remodeling firm, striving for excellence in all we do. From design to construction to final product, we walk with you every step of the way to ensure quality craftsmanship. Devane Design is an award winning and accredited kitchen & bathroom design and remodeling company located in Eden Prairie, MN. Our services include a full-service approach including personalized design, project management and professional installation for your remodeling project. We focus on providing service oriented results as we create classic, beautiful and unique interiors that reflect your personal style. We incorporate universal design practices in each project to maximize accessibility, safety and efficiency in your home. Chantal Devane is also certified in sustainable and aging-in-place design practices with the National Kitchen & Bath Association (NKBA). 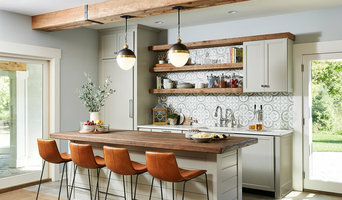 We offer kitchen design, bath design and remodeling services for Bloomington, Chanhassen, Chaska, Eden Prairie, Edina, Minneapolis, Minnetonka, Plymouth, Savage, Shakopee, Victoria, Waconia, Minnesota and surrounding areas. 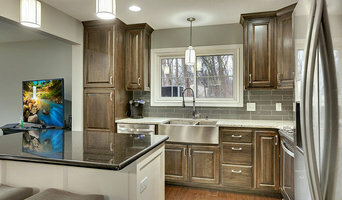 Established in 1975 and women owned and operated since, Crystal Kitchen Center (Now Crystal Kitchen + Bath) is one of the most experienced kitchen and bath design-build firms in the Twin Cities. As Real Estate Experts and custom Design Build group our primary objective has been to locate the ideal home sites , design and build the perfect home that fulfills all of your personal ideas and dreams! With exceptional service and care for detail throughout this fun and exciting process, we strive to make sure that all of your desires are met. Our goal is to help you locate the perfect home site, design the perfect floor plan , select the latest and most fitting custom features and products and finally build your dream home. 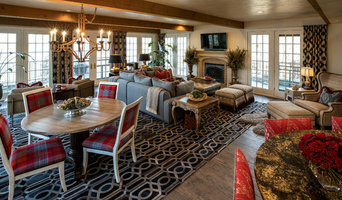 Give us a call and see why more families say "We chose LDK" Our ASID certified Interior Designer, DeAnne Koppendrayer has designed dream homes for 19 years! Her involvement in your LDK Experience is crucial to our success. Proving consistently that being an expert is important when it comes to designing spaces, laying out color schemes, and assisting with your final touches to your new dream home. DeAnne has a degree in Interior Design and numerous years assisting clients build and furnish some of the most beautiful homes in Minnesota. It will be her pleasure to assist you in making your dream home become your new home. Overall, it will be our privilege to create a masterpiece for you to enjoy for years to come! Located in Eden Prairie, Hart's Design specializes in high quality architectural design services for both new homes and remodels throughout the Minneapolis and St. Paul metro areas. Success happens when our clients feel satisfied that their home remodeling experience was one of trust, honesty, and keen attention to their hopes and values. Since 1977 we have provided creative design for residential projects. Whether it be modern, contemporary or traditional, SKD will create a home that is unique to suit your wants and needs. Alma Homes is a boutique homebuilder and remodeler whose main focus is always on our client. With over 40 years of experience, we are here to guide you through the design and construction process. A.Sadowski Designs is a full service design firm specializing in spatial reconstruction, additions, remodels and everything related to the home. Our goal is to transform your living environment. 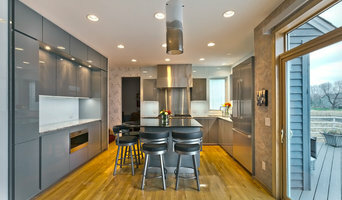 Boutique Interior Design firm servicing the greater Twin Cities area.